This is a simply classic travel mate–chic in design and exquisite in its appeal. 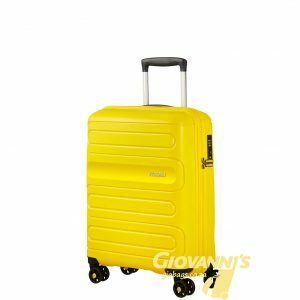 Made from ABS (acrylonitrile-butadiene-styrene) , the Travelmate 71cm Trolley Spinner is an expression of security and lightness. Seemingly appearing as one bag, its pleasant surprise lies within. 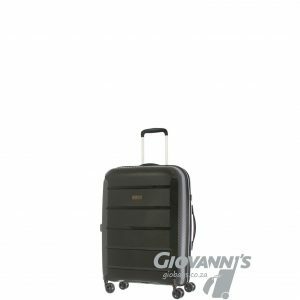 Exuding a 2-in-1 deal, the Travelmate trolley spinner splits fully to reveal a candescent interior that has two independent compartments: a lined compartment with elastic straps to ensure your things stay intact en route, and a top zip around compartment for extra packing space. Glide it right beside you! 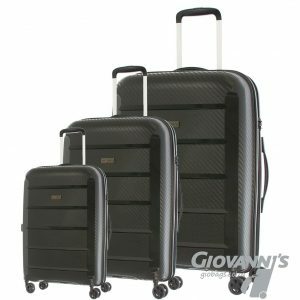 A comfortable multi-stage handle and four spinner wheels allow for flexible movement in both smooth and rough terrains while a side-mounted combination lock ensures your belongings arrive safely to your destination. 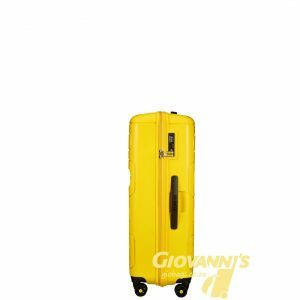 For added convenience, it has soft-grip handles that stay flat against the suitcase, giving you the option of choosing the most balanced manner you would prefer to use in lifting the bag when loaded. Structure: Interior with two compartments and packing straps for organizing clothes and travel accessories. External features include easy carry top and side handles. 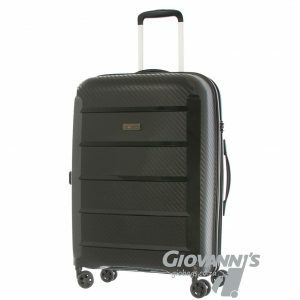 Large Capacity: This suitcase offers enough packing space for long hauls. Superior Maneuverability: The spinner wheels assure multi-directional rolling and optional stability; keeps ZERO weight on your arm. Maximum Comfort: This carry-on bag has a comfortable handle system that locks into positions for ease of use. Secure: A built-in combination lock guarantees the security of your belongings.